Urgh can you believe it's nearly the end of September already??!! This year has gone by waaaaaaaay too quickly! Just like the weekend has haha. 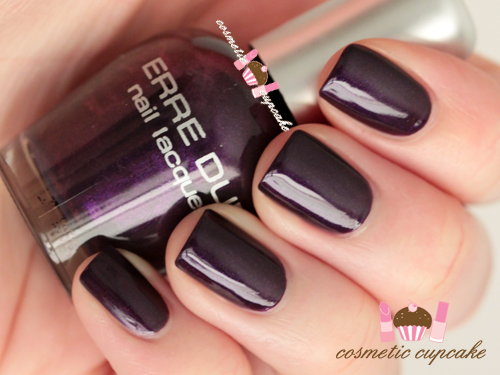 Today I have some quick swatches of a GORGEOUS purple which was a gift from my dear friend Christina from Cel's Kawaii Blog. 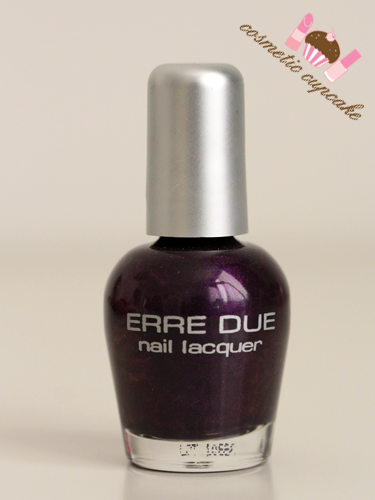 This pretty Erre Due didn't come with a label but I think it's 195. 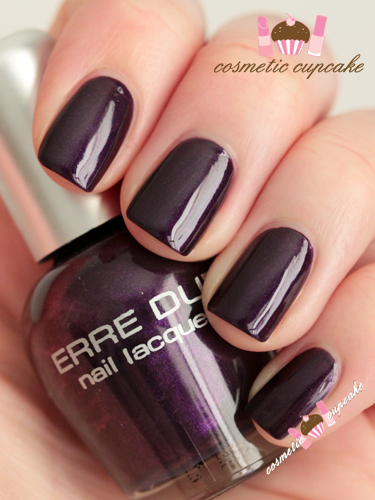 Erre Due 195 is a gorgeous deep purple with very very subtle blue and red shimmer through it. 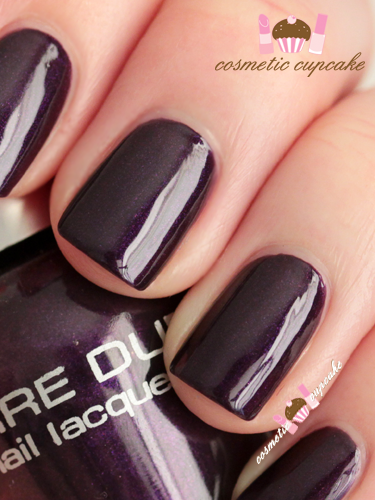 Perfect in 2 opaque glossy coats.